The 3 port Seed and Nyger seed feeder from Peckish is designed to bring more birds to the garden. 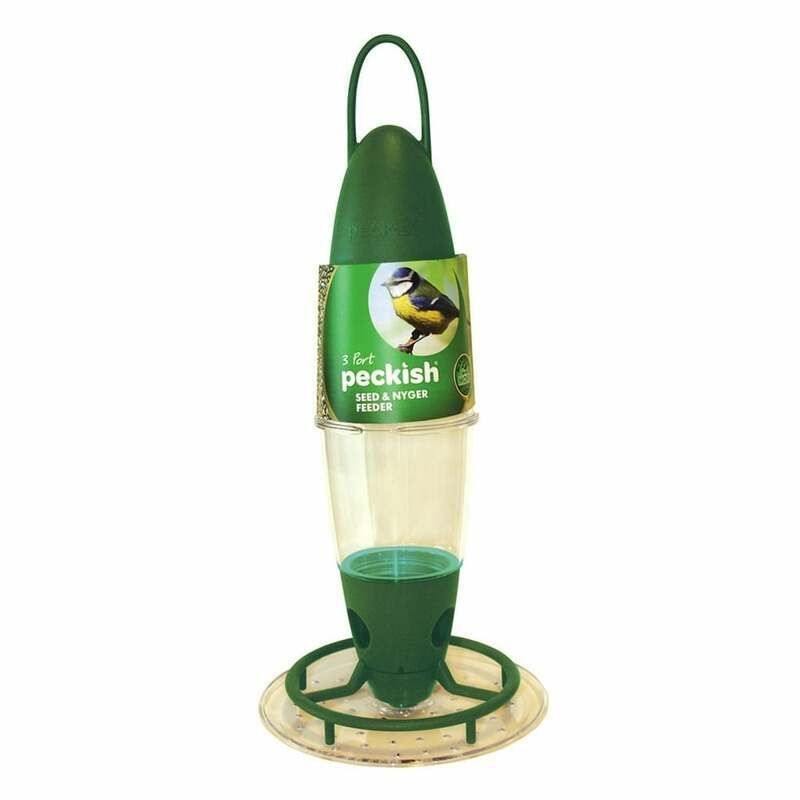 Featuring interchangeable perches for both seed and nyger seed mixes, and a built in no mess seed tray this versatile feeder is both well built and easy to clean. Got it to bring more sparkle to my garden. Distributes bird seed well.